Waterproof and capable of handling plenty of current, each channel of the Quadspark Ignition Module needs a 5 volt logic level signal. Perfect for running IGN-1, IGN-1FD, IGN-4, or IGN-6 coils. Or use them with OEM distributor-less ignitions that don’t have the ignition module built into the coil, such as the coils found on many Ford, BMW, or Chrysler coil on plug or wasted spark applications. Heat sink, PCB, and final assembly all made in the USA – some of the electrical parts like the German BIP373s are imported. Quadspark is proudly manufactured in Suwanee, Georgia, USA. How does this wire up to my ECU? 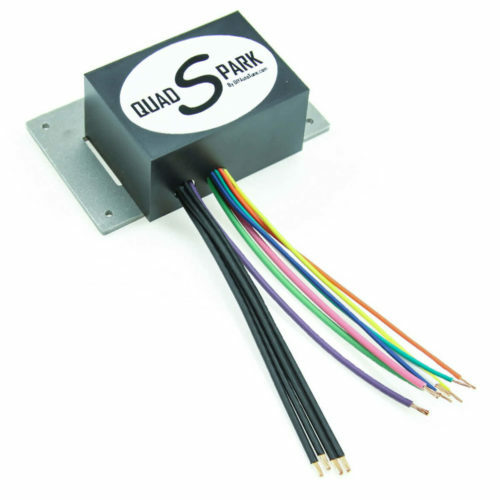 We have comprehensive documentation for using the Quadspark with MegaSquirt ECU products. Is it possible to use this ignition module with a brand [enter your brand here] ECU? Quadspark should be compatible with any ECU that outputs a standard 5V DC logic ignition signal, but we do not have specific directions for using this ignition module with non MegaSquirt ECU products. What type of power transistors are used in the Quadspark? 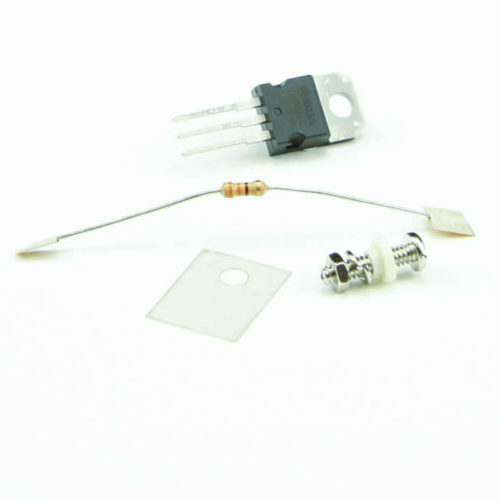 Quadspark uses genuine Bosch BIP373 power transistors. We have found these to be very capable ignition drivers and exceedingly reliable. C’mon, do I REALLY need to hook up all the ground wires? YES! Superior grounding is the foundation upon which a strong ignition system is built. If wired and used correctly, the Quadspark module is a powerful and reliable inductive ignition module. We can't answer this for every OEM coil, but fortunately Magneti Marelli publishes a data sheet for this particular coil. And the short answer is yes. For those looking to learn how to read a coil data sheet, here's how to determine this. According to the data sheet, this coil needs an external ignition module that switches current (which the QuadSpark does), can use a maximum current of 6 amps (which is within the QuadSpark's maximum current), and can handle a dwell of 3.5 ms or less (which is what you'll enter in TunerStudio). This box is intended to go between an ECU that provides a 5 volt logic level spark output and a coil that does not have an internal ignition module. The QuadSpark does not interface with a crank position sensor directly, and will not work with coils with a built in ignition module. Many Honda J series coils will have the ignition module built in. Yes, it will work with either one, although you'd need to gut a factory GM ignition module if you want to use the MSD coils. The Spark D input and output wires are simply left disconnected. I've seen it used with those boost levels before. If the Accel coil pack is not adequate, you can use our IGN-4 coil packs as an upgrade. Correct. It will need four logic level inputs. 4 1/2" wide, 2 3/4" deep, and 1 1/2" tall.